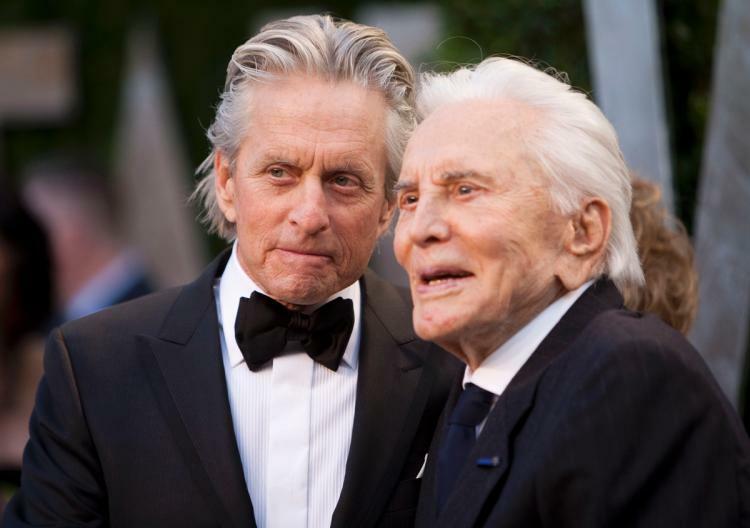 When you see the father-son Hollywood duo together it’s not hard to tell they’re related. 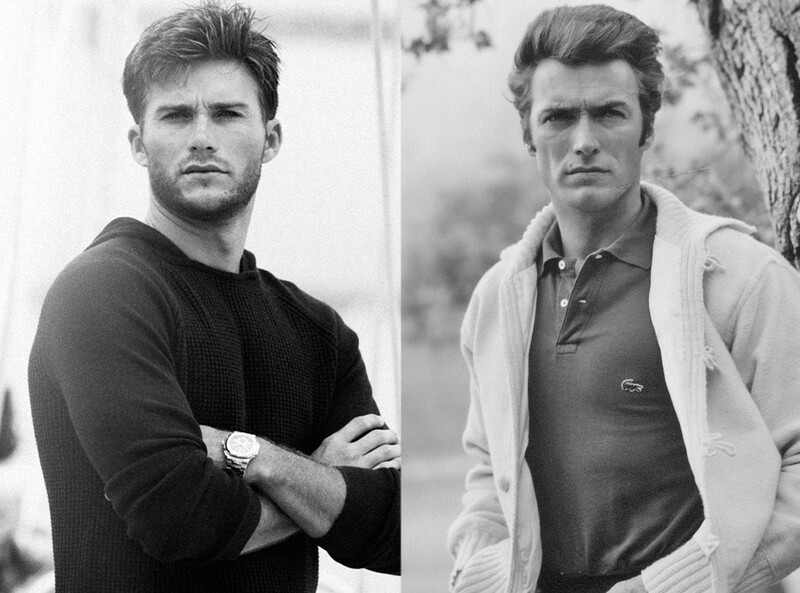 When you see a side-by-side of the Eastwood men at about the same age the resemblance is eerily striking. 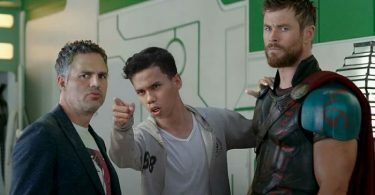 Scott is following in his father’s footsteps as a model and Hollywood actor. Ageless vampire and ground-breaking supermodel Cindy Crawford didn’t skimp on the genes when she and husband Randy Gerber brought daughter Kaia into the world. When you’re a dead ringer for one of the most beautiful women in the world, what do you do? Model, of course! Kaia recently became the face of the latest Marc Jacobs campaign. It’s really hard to find good pictures of the Alias actress and her children (with estranged husband Ben Affleck). That’s because as one-half of a mega-celebrity couple she’s faced horrific encounters with paparazzi and her children. In 2013 Garner and actress Halle Berry testified in California’s state legislature on behalf of an anti-paparazzi bill that would prohibit the publication of photos taken of celebrity offspring without consent. Garner and Berry shared disturbing stories about aggressive photographers searching for a lucrative shot by yelling at their children and calling them names, staking out school events and endangering other parents and children during school drop-offs. The actress tries to keep life as normal as possible for all 3 of her kids (including son, Samuel) but she can’t hide how much these two girls look like their famous mother. 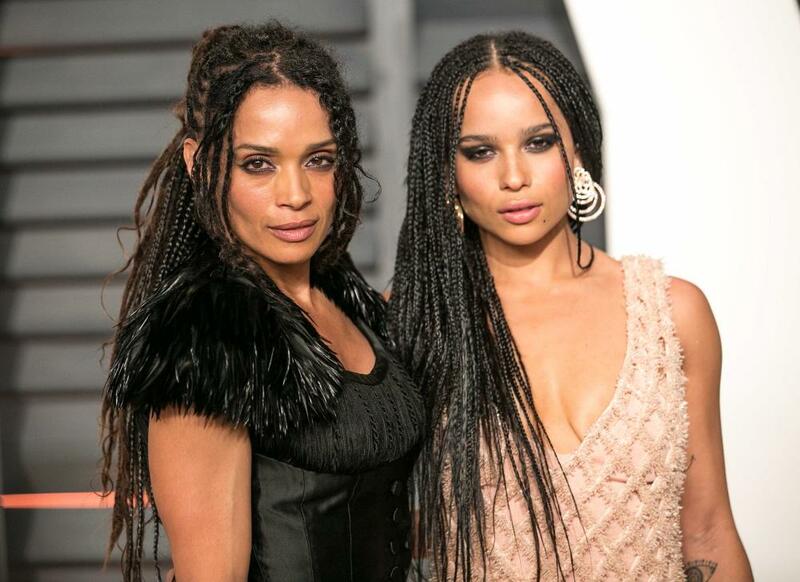 Once upon a time Lisa Bonet was a constant tabloid presence. After her breakout role as “Denise” on The Cosby Show catapulted her to fame, Bonet suddenly quit at the height of the show’s success. At the time it was a perplexing move for a young actress but Bonet (perhaps spurred by Cosby’s now infamous behind-the-scenes behavior) maintained she wasn’t happy on the show. She spun off into her own hit, A Different World and her volatile union with rocker Lenny Kravitz produced more than a few chart toppers for her husband. They also created a spin-off of their own…look-alike daughter Zoe. While Zoe has found steady work as an actress Bonet retreated from the celebrity spotlight, although she can still be seen on the red carpet from time to time with her actor boyfriend Jason Momoa and with Zoe. Actress Mamie Gummer is someone you might recognize from her steady stream of tv and film roles over the years. What many people don’t know is that Gummer is one of Streep’s children with her husband of nearly 40 years, sculptor Don Gummer. 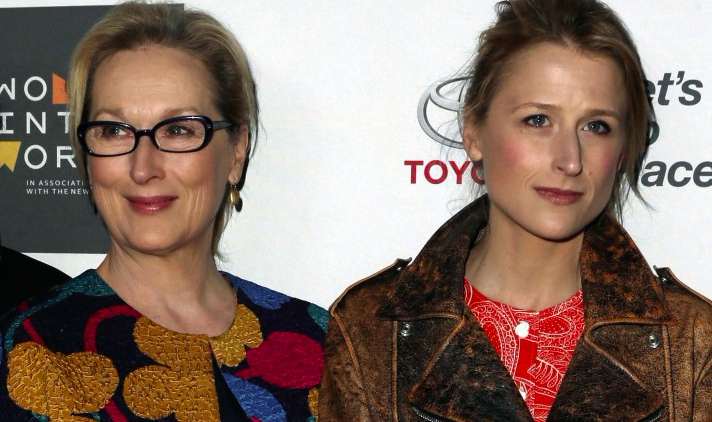 On her own, Gummer might not remind you of anyone but standing next to her mother it is impossible not to be blown away by the uncanny resemblance. Comedy is a family affair for the Wayans family. 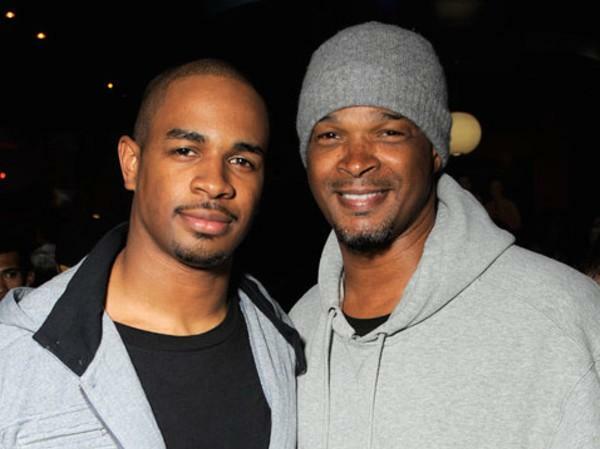 Damon Wayans and brother Keenan-Ivory led their siblings to huge success in the comedy landscape throughout the ‘90s. 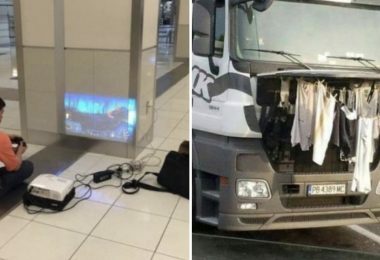 They didn’t stop there. Damon’s son Damon, Jr. is a successful comedic actor in his own right – and a dead ringer for his old man. They say when a couple is married long enough they start to look like each other. Will and Jada Pinkett-Smith have been married for 20 years and it’s hard to remember if they always looked like each other or if that’s something they grew into. Whatever the case may be, they seem to have created children who look like neither in any striking way but shockingly look exactly like both parents at the same time. 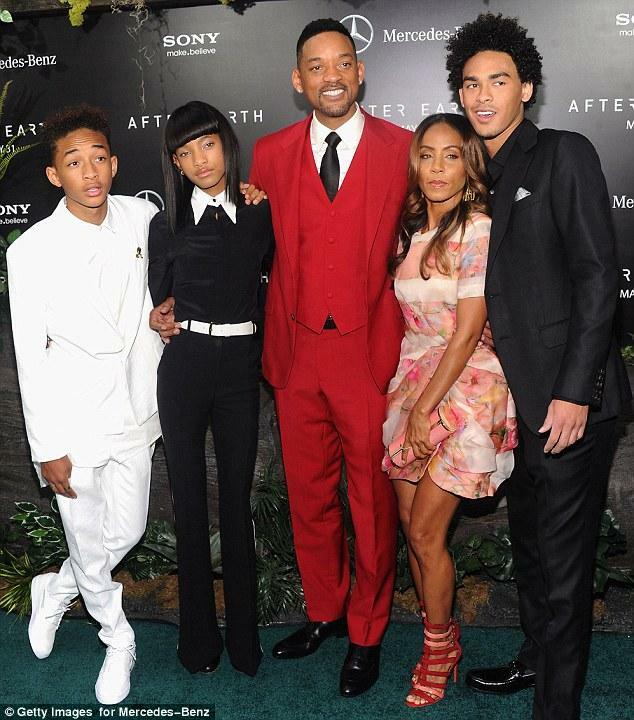 Even Will’s eldest son from a previous marriage shares the family look. 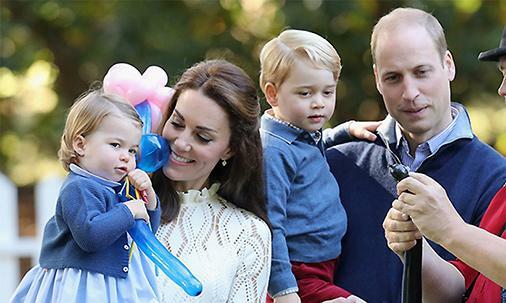 No surprise here – all 3 kids are in the biz. 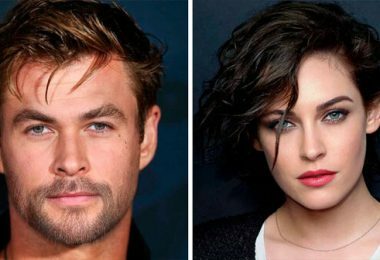 But when your parents are two of the most attractive actors in Hollywood, why not? 9.Tom Hanks and Colin Hanks – Life is like a box of chocolates…that look exactly the same. 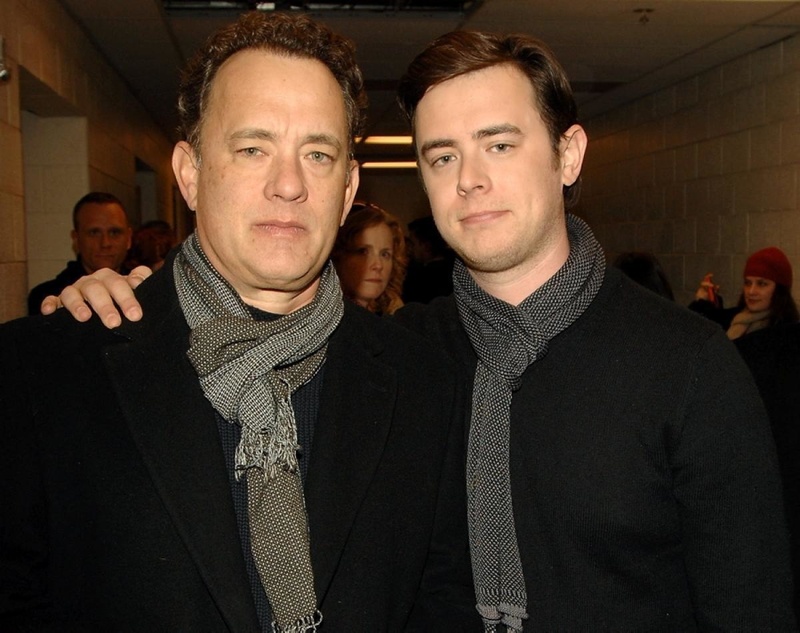 Tom Hanks’s signature “everyman” face lives on in son Colin, who is also an accomplished actor. 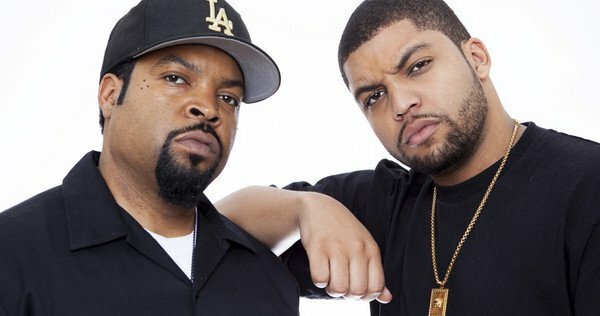 Legendary rapper Ice Cube’s son looks so much like him he was cast to play his father in the NWA biopic Straight Outta Compton. O’Shea Jackson, Jr. is still working in showbiz and teaming up with his dad on upcoming projects. 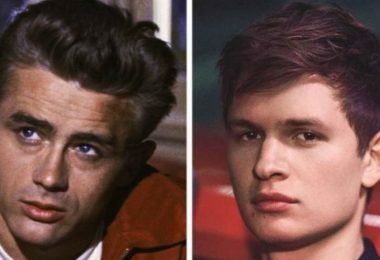 It’s impossible to ignore the stunning similarities in looks between father and son. 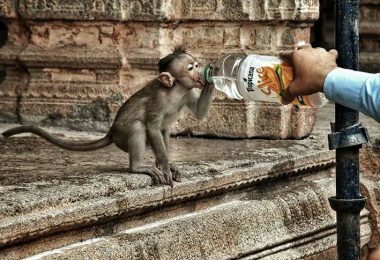 And that’s not all they share. Both are bona fide celebrities in their own right, both are Oscar winners and both are extremely talented actors. It’s almost as if the Duke of Cambridge didn’t even need the lovely Kate Middleton to produce perfect carbon copies of himself. But we’re glad that’s not how it works, because now not only do we get to see their adorable children but we can also drool over the Duchess’ extraordinary wardrobe. 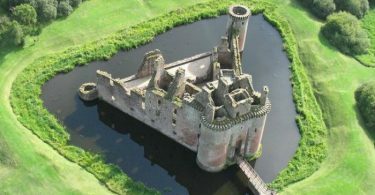 It’s hard not think that Princess Diana would be enormously proud of her sons and grandchildren.